Indian Fusion, Tucano's & Beehive Cheese Co.
At West Jordan’s India Fusion Restaurant (7726 Campus View Drive, 801-280-5459), they serve a curry called phall curry that is so incendiary—it’s described as “excruciating, scorchingly hot curry”— that it requires a verbal disclaimer from customers to not hold India Fusion liable “for any physical or emotional damage eating this curry may inflict upon you.” Holy moly! And, anyone able to finish the dish receives a free dessert to help put out the fire, a certificate of completion and their name on the Wall of Phall. This curry is so hot that the chef has to wear a gas mask to prepare it (I’ve seen the photos). Looking for something milder? 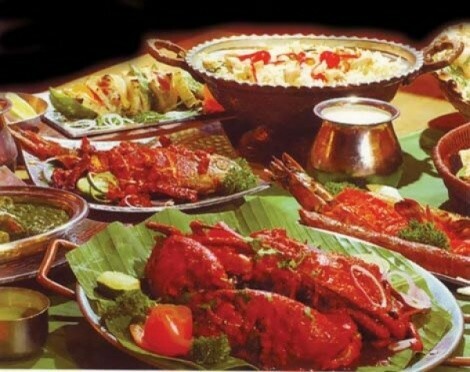 Sign up for India Fusion’s weekly newsletter at IndiaFusionRestaurant.com and tasty recipes will be delivered to your e-mail inbox. I just tried their tandoori chicken recipe this week and it was superb—best tandoori I’ve ever cooked! Tucanos Brazilian Grill at the Gateway (162 S. 400 West, 801-456-2550) is offering a special Father’s Day lunch and dinner on Saturday, June 19—the day before actual Father’s Day. In addition to the full-on Tucanos churrasco buffet, they’ve added salmon, rib-eye steak, grilled shrimp, prime rib and filet mignon. Plus, every dad gets a free slice of fresh cobbler a la mode and a limited-edition Tucanos glass. The cost for the Father’s Day special is $15.95 for lunch (11 a.m.–4 p.m.) and $24.95 for dinner (4 p.m.-11 p.m.). Tucanos will also be serving their popular Big Daddy Ribeye for the entire month of June. For more details, go to Tucanos.com. Beehive Cheese Company’s new Aggiano cheese (named for the Utah State University Aggies) is now available in limited quantities. Described as an “American-style Parmesan,” it’s a dryer, stirred, curd cheese with subtle pineapple notes and a butterscotch finish. Check it out at Beehive Cheese Co: 2440 E. 6600 South, Uintah, 801-476-0900, BeehiveCheese.com.